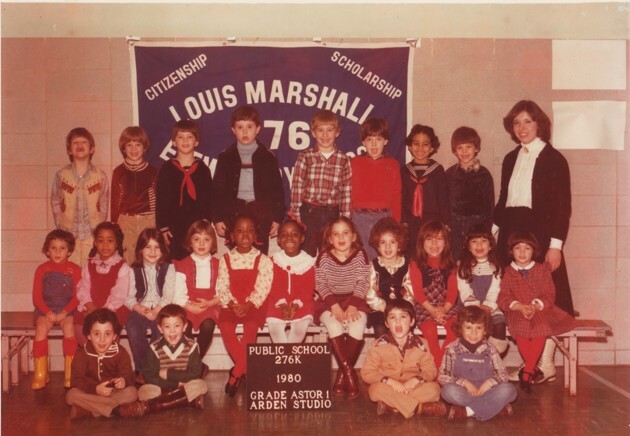 Will School Integration Make a Comeback? John King Jr. doesn’t have much time to carry out his goals as the country’s education secretary. Having been tasked earlier this year with rounding off Arne Duncan’s term, King’s core duties, one could argue, should involve little more than ensuring existing programs run smoothly, keeping prevailing policies in place, and preventing some sort of catastrophe. With less than four months left on the job, that’s all one can really do. Yet King is endeavoring to help President Obama accomplish the unthinkable: He wants to integrate schools. Still, King is well aware of the political obstacles that prevented Duncan—who undoubtedly believed in the importance of diverse schools—from using the bully pulpit to enforce an integration policy. So, the current education secretary is taking what’s perhaps the safest approach politically: calling for voluntary integration. “Instead of worrying about diversity, we should be embracing our diversity,” King recently told me. “We also have to acknowledge as we look at some of the tensions around the country around issues of race and class … [that we need to] create school communities that are genuinely diverse.” Mindful of the racial confrontations tactics such as mandated busing or campus reassignment could cause, King doesn’t want to force anyone to attend a school they don’t want to attend. He wants integration to happen on its own—almost as if it were an organic process. But Congress needs to pass a bill for that funding to become a reality, which, given the realities on Capitol Hill these days, is almost certain not to happen. And even if it did, would initiatives that simply give parents the option of choosing a “diverse” school suffice? Based on evidence from some pockets of the country, there’s good reason to be optimistic that progressive urbanites who believe in the value of integrated classrooms for all children will do their part to help schools fulfill the intent of Brown. That optimism, however, doesn’t hold across vast swaths of the nation. Many experts and advocates fear that while integration programs based on choice are necessary—anything that doesn’t give parents a choice is doomed to fail—they also have clear limits. That’s the narrow path any successful integration policy will have to navigate. Desegregation is never a smooth process, though. In many places, it prompted white flight to the suburbs, while in others, it led to boycotts and riots; often, it was a combination of both. So, beginning in the 1980s, a series of legal changes, combined with the assumption that busing had done its job, started to eat away at formal integration programs. And this trend has hardly let up since: In 2007, the U.S. Supreme Court struck down race-based integration plans in Louisville, Kentucky, and Seattle for violating the Equal Protection clause of the 14th Amendment, effectively limiting the ability of schools nationwide to use race as a factor in student assignment and admissions. In that decision, Justice Anthony Kennedy instead promoted the kinds of voluntary programs highlighted by King. Meanwhile, the school districts that are still bound by desegregation orders continue to experience legal headaches. In the Birmingham, Alabama, area, a predominantly white suburb has for years sought to secede from the surrounding Jefferson County—a move that supporters say is intended to give the suburb’s residents more control over their children’s education but that opponents say is an implicit attempt at racial isolation. Today, roughly four in 10 black and Latino students nationwide attend schools that are at least 90 percent nonwhite, according to a Civil Rights Project analysis of Department of Education data, while a typical white student attends a school where three-quarters of her classmates are white. Economic segregation has also intensified in the past two decades, primarily affecting students of color—what the Civil Rights Project calls “double segregation.” In almost every major U.S. metropolitan city, nonwhite students are far more likely than their white peers to attend public schools that suffer from concentrated poverty. A 2016 Government Accountability Office report found that schools with high numbers of poor black or Latino students grew from 9 percent in 2001 to 16 percent in 2013. The idea behind “separate but equal”—the very principle Brown overturned—persists. In fact, segregation is a significant reason the country has struggled to eliminate race-based disparities in achievement. Decades of research, including a 2010 review of dozens of studies on the relationship between school composition and student achievement in math, clearly and unambiguously demonstrate that diverse schools produce better outcomes for children. Indeed, as racial integration produces better results, segregation is widely believed to be a key contributor to growing racial disparities in achievement. It isn’t surprising that black-white differences in performance on math and reading tests narrowed sharply from the early 1970s through the late 1980s, when many of the desegregation orders were lifted—nor that they started to plateau through much of the 1990s. School districts across the country have certainly sought to integrate their campuses using the kinds of strategies King espouses—like establishing school-choice zones or creating unique magnet schools in disadvantaged areas that lure in families with means. Today, 91 school districts and charter networks use socioeconomic status as a factor in student assignment—up from just two districts 20 years ago, according to a Century Foundation report published earlier this year. For supporters of integration policies, that’s impressive growth. Still, those 91 school districts and charter networks that look at socioeconomic factors serve just 8 percent of the country’s public-school students. And every integration tactic has its downsides: Some of those schools are not drawing in enough diversity to promote truly inclusive schools, while others are constantly under attack by parents who feel like integration is being imposed on them. Take Charlotte, North Carolina, which is currently one of the worst places to live in the United States when it comes to economic mobility. Poor children there—who are far more likely to be black or Latino than they are white—are almost certain to live in poverty their entire lives. The school system, unsurprisingly, embodies this inequality: Just 23 percent of white students in Charlotte attend majority-poverty schools, compared with 77 percent of black students and 80 percent of Latino students. Achievement gaps in the district are huge: This year, just 46 percent of black students passed the state exams, compared to 85 percent of their white peers. Those numbers are particularly striking given that Charlotte was once a national leader on school integration. Having implemented a busing program early on, the Charlotte-Mecklenburg school district was the subject of the landmark 1971 U.S. Supreme Court case that eventually led to widespread busing throughout the South as a desegregation tool. But in the late 1990s, the Court lifted the city’s desegregation order, and the district subsequently ceased to exist as it once was: The area has been resegregating ever since. Many parents seem to like it that way. As the school district’s policy currently stands, a student’s address pretty much determines which public school she attends. But the school board is in the process of reevaluating that policy, and, as The American Prospect’s Rachel Cohen has reported, families from the suburbs are engaged in a fervent campaign to retain the neighborhood-schools model. Some suburban parents have threatened to send their kids to private or charter schools, while others have disseminated warnings that any changes to the status quo would amount to forced busing—even though school-board officials have insisted that parents will have options. A community survey this past January found that 82 percent of Charlotte-Mecklenburg parents said they disagreed with the statement “I would be okay with a longer bus ride if it meant my child(ren) attended a more diverse school,” including 61 percent who said they “strongly disagreed.” The new student-assignment plan, which is still under deliberation, is slated to go into effect with the 2017-18 school year. These kinds of controversies are happening across the country. Various initiatives to diversify student populations in New York City, for example, have been met with resistance from parents concerned about the prospect of sending their children to a lower-performing, or faraway, school. Proposals to integrate mostly black and Latino children living in public housing with peers at predominantly white public schools on the Upper West Side—plans that cited student diversity as an explicit goal—were in part stymied by affluent parents who complained about inconvenience. The vitriolic response to the Big Apple’s school-rezoning efforts is reminiscent of similar clashes tracing back decades. The reality is that desegregation seldom happens organically. Whether in Charlotte-Mecklenburg or New York City, policies that rely on the goodwill of parents and merits of individual schools have struggled to create wholesale, lasting integration. At the high-school level in New York City, for example, all students choose which school to attend, often subjecting themselves to rigorous application processes. The idea is to free the city’s high-schoolers from the confines of their default neighborhood schools—to, in theory, give everyone access to the public school of their choice. But this policy tends to favor families with means, those with the know-how and resources to shop for schools and prep for admissions tests. Nevertheless, New York City parents are often the force behind getting schools to integrate. Late last year, parents and advocates managed to get the Education Department to adopt a new admissions-lottery policy to give priority to disadvantaged students at certain schools. Close to 75 percent of the average black charter-school student’s classmates are also black. Back in New York City, charter schools effectively do the opposite, targeting low-income students of color. In a 2010 analysis, the Civil Rights Project found that in almost every state and large metropolitan area in the country, charter schools were more racially isolated than traditional public schools. Seventy percent of black charter-school students attended schools where at least 90 percent of the population consisted of underrepresented minorities. Overall, nearly 75 percent of the average black charter-school student’s classmates were also black—a troubling amount of segregation, the report’s authors wrote, considering that black students accounted for less than a third of charter students nationwide. Many critics and civil-rights activists argue voluntary integration is a flawed ideal to begin with because, even when a school system isn’t tethered to neighborhood segregation and parents have a choice, people’s inherent biases continue to dictate the compositions of classrooms. School forums are rife with parents worrying about their child being “the only white student at the school,” about their kid being picked on and bullied because she’s more privileged—concerns that are well-intentioned, of course, but often stem from racial stereotypes. 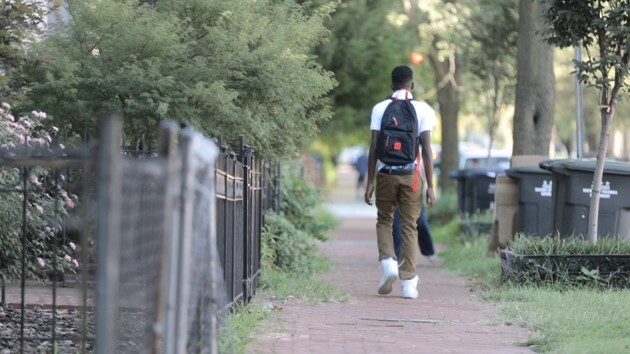 One analysis looked at parental preferences in Washington, D.C., where families can enter a lottery to apply for schools outside of their neighborhoods. In analyzing the lottery data, rather than talking to parents themselves, the researchers were theoretically able to more authentically assess parents’ reasons for choosing certain schools—reasons that might not be politically correct or comfortable for a parent to acknowledge. Parents, they found, preferred schools that reported high test scores, were closer to home, and comprised relatively high percentages of their child’s own race and class. In a district in which close to two-thirds of students are black and just a small percentage are white, a middle-school parent was 12 percent more likely to choose a school where kids of the same race as her child made up at least a fifth of the student population. Hannah-Jones and others have documented how these inclinations shape parents’ decisions—even progressive middle-class parents who live in diverse cities, people who champion integration and condemn schools that are homogeneously affluent and white. In fact, the Washington, D.C., study found that white parents prioritized schools where roughly 60 percent of the student body was white but tended to avoid schools where the white-student population was higher than that. In her widely read New York Times Magazine essay “Choosing a School for My Daughter in a Segregated City,” Hannah-Jones, who lives in Brooklyn, described this custom as “carefully curated integration”—“the kind that allows many white parents to boast that their children’s public schools look like the United Nations.” Urban, progressive, white parents, she argues, want their kids to be around peers of color—but only to a certain extent. These inconsistencies between belief and action have shaped school-integration efforts ever since their inception. In 1973, for example, most Northern whites (75 percent) said they supported the Brown decision, yet few actually supported desegregation in their own areas. Similarly, various modern-day surveys have suggested that most Americans agree that racially diverse schools are a good thing, but when asked whether they support government-managed diversity, they tend to shy away. The trauma and taboo associated with the busing era only exacerbates that disconnect. Today, plans such as those touted by King get flack for being heavy on rhetoric and light on details—but that’s because details can be dangerous. Diversity is a nice idea, and few would say it’s not a priority, but when it comes to one’s children, a parent is seldom going to say diversity takes precedence over everything. And it’s hard to blame them: For those on the privileged side of the spectrum, force-fed diversity often translates into a sacrifice or risk that very few parents would knowingly take. That’s why parents like Christy Stewart—a white, middle-class mother of two who lives in Brooklyn—are opting for the kind of schools that fall somewhere in between. Earlier this year, Stewart was distraught after learning that her 5-year-old son wasn’t accepted into the overcrowded, predominantly white P.S. 8. Instead, he was assigned to P.S. 307, a predominantly black school that serves a nearby housing project. At first, she was horrified; she pictured her “precious blond boy going to a school with a towering housing project in its shadow.” But she went on a tour of P.S. 307 anyway and was dazzled by its academic climate and principal. In fact, unlike most of her parent-friends, she ended up registering her son for the school. “P.S. 8 wasn’t my dream school—I just knew it was safe,” she told me.